Autonomous vehicles—also known as self-driving cars and driverless cars—are in various testing phases throughout the country, including programs in Boston’s Flynn Marine Park, Innovation District, and the South Boston Waterfront. Boston is home to a number of autonomous vehicle test programs. Although autonomous driving technology is still being developed and tested, Boston has positioned itself as a leader in the drive to implement driverless cars. 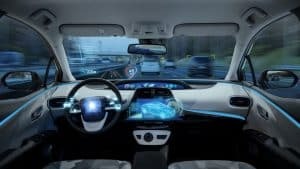 As more self-driving cars hit the roads, they are accompanied by questions regarding safety and liability in the event of traffic accidents. In order to achieve the best results for our clients, the attorneys at Jason Stone Injury Lawyers are dedicated to remaining at the forefront of auto accident law. This includes understanding the technology behind driverless cars and staying abreast of evolving regulations regarding their operation. If you were hurt in a collision with an autonomous vehicle, call us at 800-577-5188 or contact us online for your free case consultation. Massachusetts follows a modified comparative-fault system in which an accident injury victim is entitled to recover damages only if he or she is less than 50 percent at fault for the collision. But what happens when there’s an accident and there’s no one behind the wheel of one of the vehicles involved? Driverless cars can create complex legal issues regarding liability in the event of an accident. 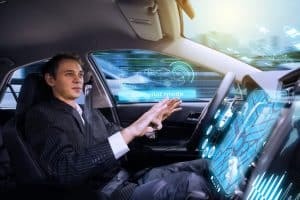 Self-driving cars create complex legal issues when people get hurt, and there is still debate over who may be held liable when an autonomous vehicle plays a role in an accident. Depending on the circumstances of the crash, a variety of parties may be held responsible including automakers, vehicle parts manufacturers, and the organization or individual using the driverless car. As a result, driverless car accident claims could take on more elements of defective product law. Because autonomous vehicles represent a dramatic shift in transit and because their corresponding liability issues are largely uncharted legal territory, it’s critical for injury victims to secure legal representation who is at the cutting edge of traffic accident law. Human error is the leading cause of traffic accidents, and many believe that driverless cars will dramatically reduce collisions and improve traffic flow. Self-driving vehicles are already being tested in Boston, and the city has begun to address their future in part through its long-term transportation plan, Go Boston 2030. Boston is building partnerships with self-driving technology companies, including Cambridge-based NuTonomy and Optimus Ride, to help ensure that regulations reflect autonomous vehicle technology while serving the needs and rights of residents. California’s Silicon Valley is a hub for driverless car testing, and as of May 2017 the California Department of Motor Vehicles had issued 30 permits to autonomous vehicle manufacturers. To date, those vehicles have been involved in at least 25 traffic accidents. In May 2016, an Ohio man became the first fatality in a driverless car when his Tesla Model S collided with a semi-truck while the car was in its so-called “Autopilot” mode. The National Highway Traffic Safety Administration said that preliminary reports indicate the car failed to apply brakes or move out of the way when the tractor-trailer turned in front of it. For its inaugural autonomous vehicle testing program in 2016, Uber partnered with Pittsburgh to launch a fleet of 100 self-driving cars. The ride-sharing company pitched the project as a free service for residents and promised to hire hundreds of local workers. But less than a year later, city officials claimed Uber did not live up to contractual obligations and residents complained that jobs didn’t materialize at the level Uber pledged. While Boston appears to be on the right path in terms of integrating autonomous vehicles, these stories demonstrate that self-driving cars can present unanticipated roadblocks. Autonomous vehicles will likely be accompanied by major changes to car accident law. We may not be ready to replace human-operated cars with autonomous vehicles en masse just yet, but driverless cars can no longer be viewed as a futuristic fantasy. At Jason Stone Injury Lawyers, our attorneys are working hard to prepare for the most significant changes in car accident law in more than a century. Our legal team is committed to understanding autonomous vehicle technology and testing programs, and we’re closely monitoring local, state and federal regulations governing driverless cars. If you were hurt in a crash that involved a driverless car or in which autonomous vehicle technology may have been a factor, we’re here to fight for the compensation you need so you can focus on recovering from your injuries. We offer free consultations to help you understand your options, and we don’t get paid until you get paid—that’s our Stone Cold Guarantee®. Call our Boston injury lawyers at 800-577-5188 or contact us online to arrange your complimentary consultation. Our attorneys can speak with you in person or by phone, or via video through Skype, FaceTime or Google Hangouts.